This isn’t the first time Uber has offered to deliver you lunch from a local restaurant, but it is the first time that it’s offered to do it outside of the US. 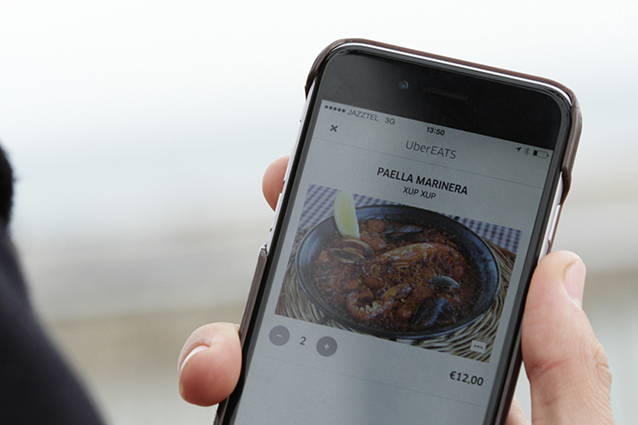 That’s right, as of today, Uber users in Barcelona, Spain can use the UberEATS service to get food delivered to their door. Of course, with Barcelona being the home of Mobile World Congress and that show kicking off in less than two weeks, a cynic might think it was a ploy to get European tech journalists and other visitors to the show to try the previously US-only service. Uber has teamed up with Barcelona food guide Plateselector and promises that orders will be delivered in 10 minutes or less. To use it, just tap the UberEATS icon in the app, and just like with an Uber taxi, you can track its progress to your door. All orders are automatically charged to your Uber account.